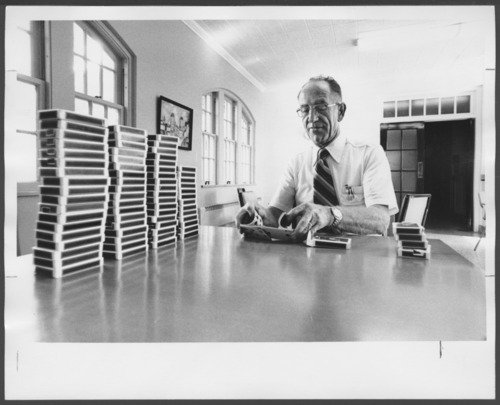 James Pratt (Red) is shown with boxes of playing cards. He worked in activity therapy at the Menninger Clinic. Their philosophy was that mental illness could be treated with an integrated medical, psychodynamic, and developmental approach for the total health of patients.